Former two-division world champion Paulie Malignaggi has sent a warning that UFC superstar Conor McGregor may get disqualified in the upcoming contest with Floyd Mayweather. McGregor will make his professional boxing debut against five division world champion Mayweather, who is coming out of retirement, on August 26th at the T-Mobile Arena in Las Vegas. 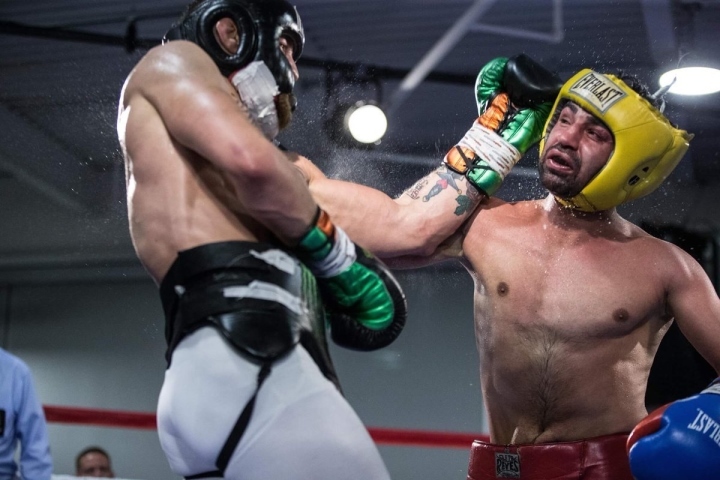 Malignaggi had served as a sparring partner for McGregor, and did his best to help the MMA fighter prepare for the very tough task of facing Mayweather. Malignaggi would end up having a bad falling out with McGregor - after members of the MMA fighter's team released images from the sparring sessions - and the images showed Malignaggi on the mat and taking punishment. Then there were small video clips released of their second sparring session. Mayweather watched those clips and felt McGregor was using a lot of dirty tactics on Malignaggi. And Malignaggi confirms that McGregor was indeed very dirty during that sparring session. Retired Hall of Fame referee Joe Cortez was hired to officiate McGregor's sparring sessions in training camp. According to Malignaggi, Cortez took away a point from McGregor on two separate occasions during that spar for rabbit punching and pushing behind the head. “Rules are different in mixed martial arts than they are in boxing and he wanted to know what he’s doing wrong and what he’s doing right and what not so every single sparring session he had, Joe Cortez was there. One thing Conor has to understand - and you see that in that clip that they sent out - it wasn’t so much that he’s landing shots because most of the shots are missing," Malignaggi told The Herd with Colin Cowherd. Malignaggi believes that McGregor has yet to fully grasp the rules of boxing and how to conduct himself in a boxing match. He says McGregor, especially on the inside, would use tactics that an MMA fighter would use in the cage - but are illegal in a boxing ring - like grabbing the head of the opponent and pushing it down. “What he really has to learn is to try to keep it within the rules because he’s a little bit confused as to what he’s doing in there. He’s a little bit confused, especially on the inside as you can see on that tape. He’s trying to grab and push the head down. Inside fighting in boxing is very different from inside fighting in mixed martial arts. You can’t grab. You actually have to know what you’re doing on the inside," Malignaggi said. Malignaggi will be ringside, as part of the Showtime broadcast team for the pay-per-view. Tags: Paulie Malignaggi Conor McGregor Mayweather vs. McGregor Floyd Mayweather Jr.